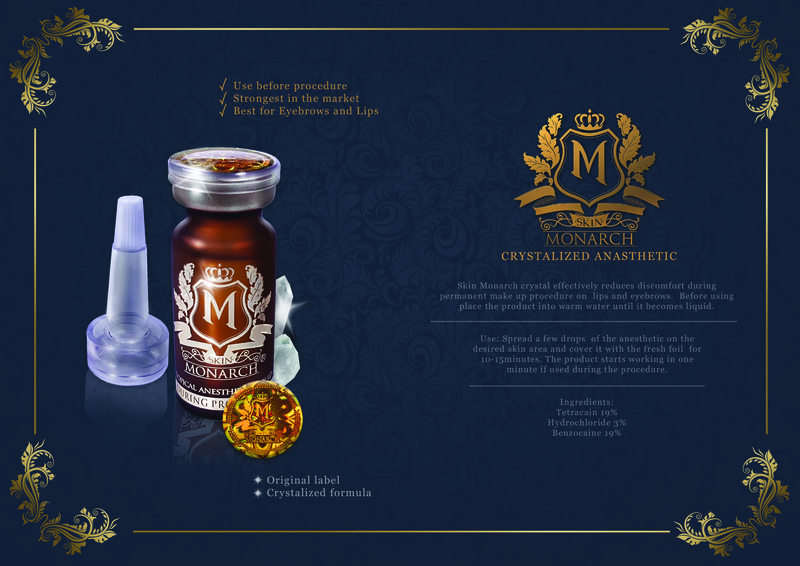 Skin Monarch crystal effectively reduces discomfort before permanent make up procedure and during procedure. Used for lips and eyebrows procedures. Before using put for 1 minute into warm water until product will be liquid. Use: Spread a few drops on the desired area of skin maintain with a nutritious film for 10-15minutes. During procedure product works in one minute.